Blender is well-known in Virtual Worlds as an Open Source Software mainly used for 3d modeling, to make prims sculpts for second life and for other things. This program is not a new one but actually Blender was a close software and after time, it became to be a open source software. Blender was created by a dutch company called NeoGeo (please don’t confuse with the video game) and NaN (Not a Number Technologies). 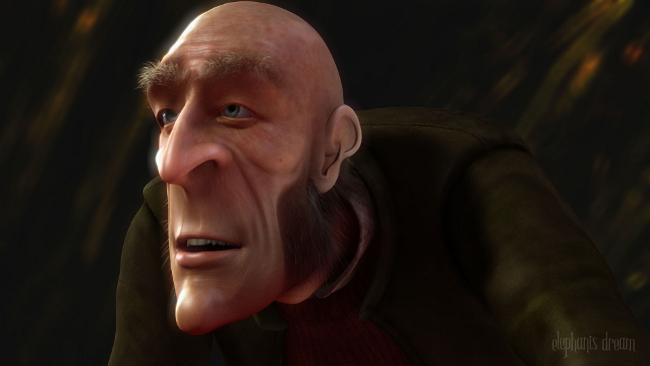 Elephants Dreams, the first movie and the first project of the Blender Foundation. As you can see The 3D Computer Graphics are so impressive. There is not limit for the imagination! The main idea was to develop a free 3d program with a business model would be selling products and services for it. But after some years, the sales became disapointed (it was around 2001-2002 ) and the investors of NaN decide to shutdown all operations about the program. This could be for ever the end of Blender. 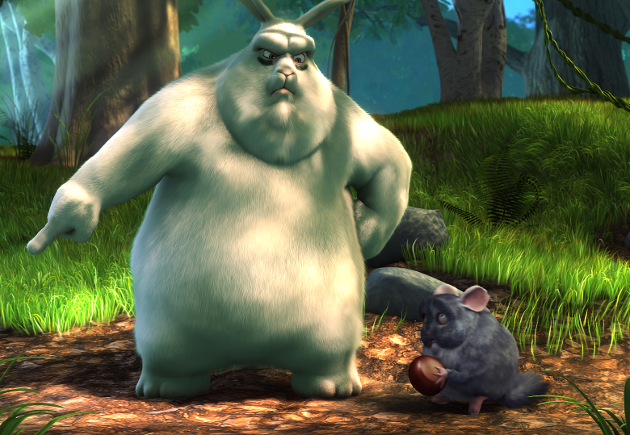 Big Bunny Bugs, another project of Blender Foundation which the main character is a very friendly Bunny, who was threatened by three evil small mammals. But an enthusiastic support from the user community and customers, who didn’t want to leave Blender into oblivion and since that creating a new company was not easy, then the main creator of blender (Ton Roosendaal) decide to start a non-profit foundation. But how to get alive again Blender when the investors just already decided shutdown the program ?. Instead of getting funding to bring together software developers, the Blender Foundation decided to start a project to bring together the most outstanding artists in the Blender community and challenge them to make an exciting 3D animation movie short. Because of the overwhelming success of the first open movie project, Ton Roosendaal, established the “Blender Institute” in summer 2007. This now is the permanent office and studio to more efficiently organize the Blender Foundation goals, but especially to coordinate and facilitate Open Projects related to 3D movies, games or visual effects. Thanks to donations and sponsors, Blender Foundation currently employs two half-time developers for support activities. One other developer, and Ton Roosendaal, are being hired full time by Blender Institute for work on Blender. And that’s how Blender became as a successfull Open Source Software that is used around the world for 3d modeling, and for much more other things!. This entry was posted in Start and tagged 3d computer graphics, free 3d program, open source software on January 18, 2012 by Xpontaneus. Closed and Not updated Anymore…. I am leaving the blog! How to Kick Griefers on Opensim Thanks to Avination! What Are Bitcoins ? and What Could This Means for Virtual Worlds ? Continuing Changing The Blog, Leaving SL and Comming to Opensim. Closed and Not updated Anymore.... I am leaving the blog! Across The Grid with With Linda Kidd!